Berwick St in London’s Soho is described as a “vibrant and diverse neighbourhood with a rich heritage”. Restaurants sit cheek by jowl with bespoke tailors, traditional pubs and vintage clothes shops. It is also the location of one of London’s oldest existing markets. 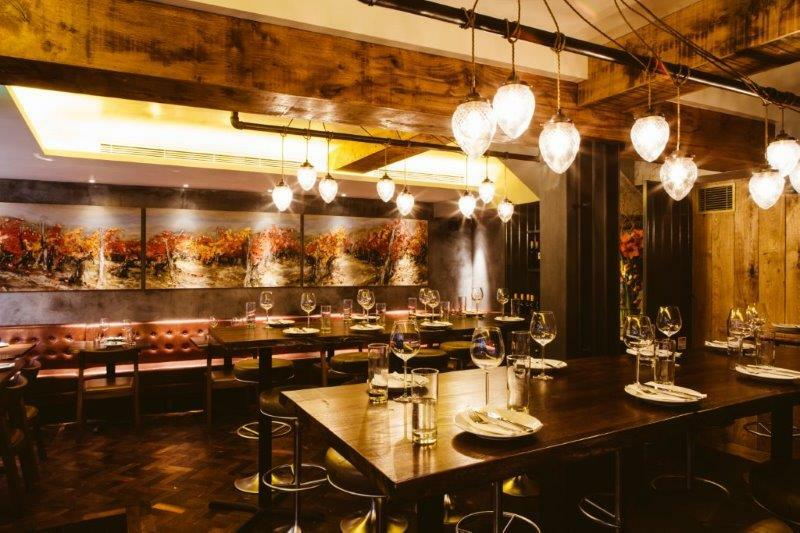 Two of our clients, Ember Yard and Polpetto have recently opened restaurants in this buzzing area of the West End and recent press reviews have given them both 5 Stars! The interior of Ember Yard, designed by Macaulay Sinclair, is influenced by both art nouveau and art deco styles. The use of natural materials like wood, brass, copper and steel blend seamlessly with stained glass and polished plaster, while the open plan kitchen and custom-built grill are at the heart of the space. The stylish design continues downstairs, where guests can enjoy a meal on the banquette by the exposed wine vaults or cosy away in the private dining are that can seat up to 20. 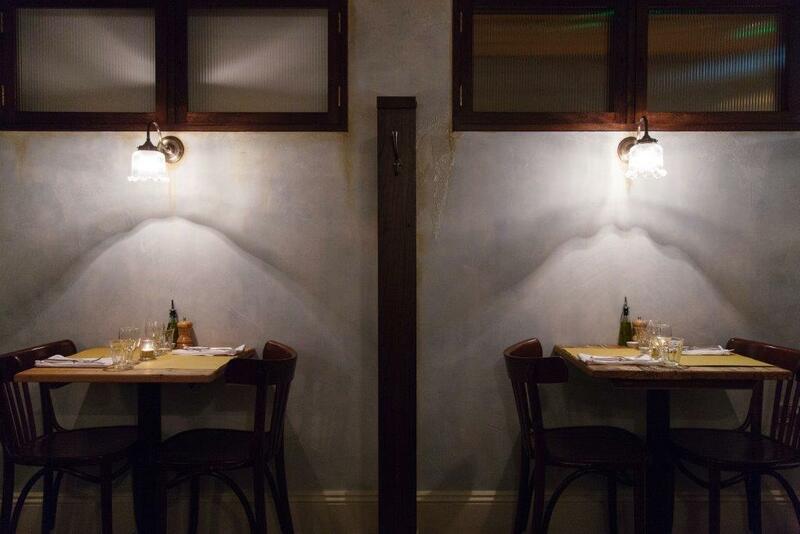 Polpetto is the latest opening for Russell Norman, recently seen on BBC’s “The Restaurant Man”. 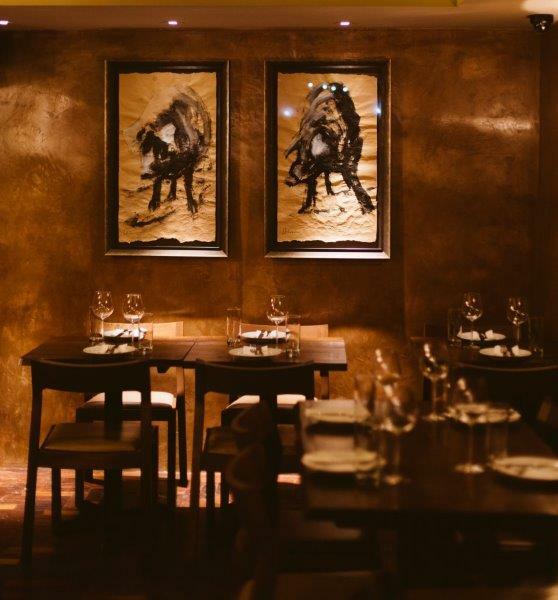 du Boulay have worked closely with Russell and his business partner Richard Beatty on all the restaurants in the Polpo group including the Ape and Bird at Shaftesbury Ave which opened last November. 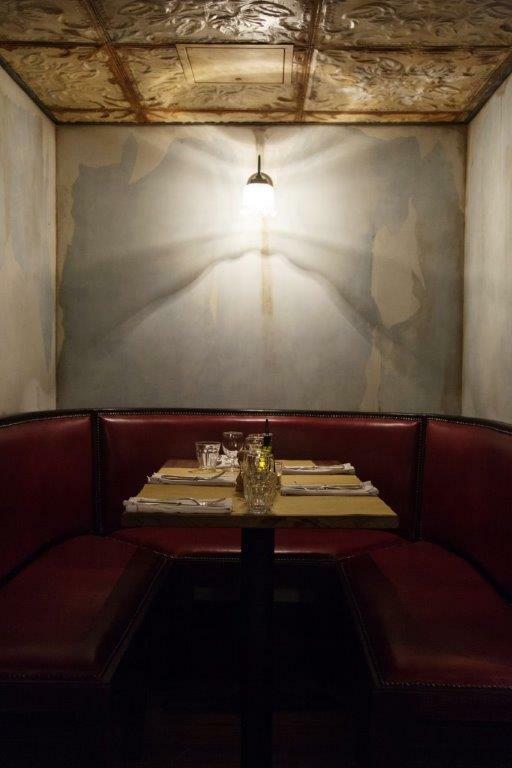 Polpetto is an intimate eating place with 70 covers in a narrow room on the first floor with a single chef’s table downstairs in front of the open kitchen. 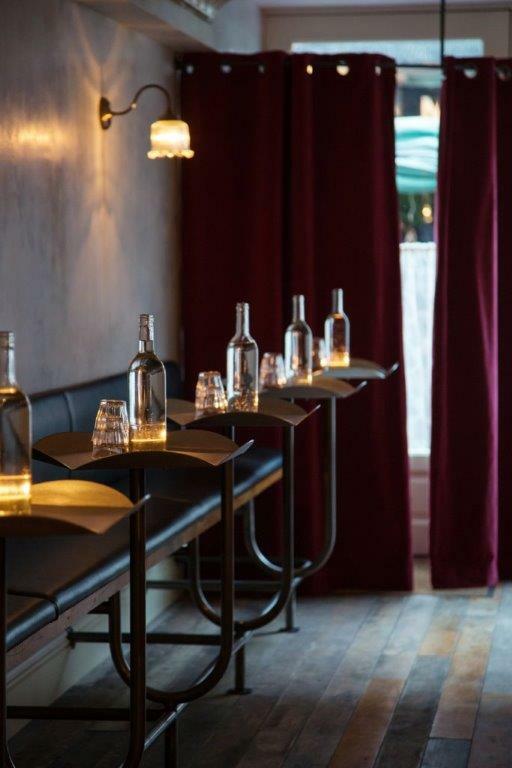 Long red leather banquette seating and cosy booths together with glass lamps and antiqued walls lend a certain ambiance. The signature Polpo ceiling is made from embossed metal panels.